Vice President Yemi Osinbajo has revealed how Pastor E.A. Adeboye, General Overseer of the Redeemed Christian Church of God (RCCG) called him after Friday’s Holy Ghost service to pray for him before he entered the ill-fated helicopter crash. 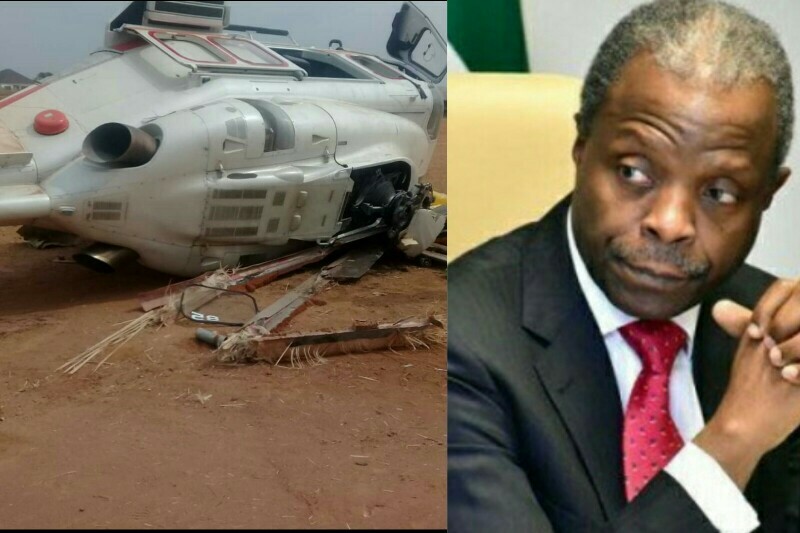 Osinbajo disclosed this at RCCG City of Grace, Lokoja, Kogi state during a thanksgiving service after his helicopter crash landed in Kabba on Saturday. The Vice President in his testimony at the church gave God all the glory, praise and thanksgiving. He then narrated how Pastor E. A. Adeboye had called him in after Friday’s Holy Ghost service to pray and asked him about the progress of the campaigns. “I briefed him on the progress we have made with the campaign and then the General Overseer prayed for God’s protection for me in all my travels and movements. Prof. Osinbajo narrated how Pastor Adeboye emphasized the prayer of protection and that was Friday midnight. The crash-landing happened on Saturday, hours after the prayers by Pastor Adeboye. In his thanksgiving speech, Prof. Osinbajo said the plan of the devil for him and those on the chopper was different from the outcome. “That was not what the devil had planned but what did the headline read, Vice President Osinbajo’s helicopter crashes all unhurt, not one crash,” he said during a thanksgiving service in Lokoja on Sunday. Earlier, in a live telecast from the RCCG headquarters, Lagos, Pastor Adeboye, asked the congregation to rise and give glory to God for saving the life of his son, VP Osinbajo, from a crash. Taking his lesson from the Bible in the book of Matthew 5: 14- 15, he said: “Ye are the light of the world. A city that is set on a hill cannot be hid.